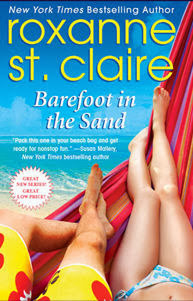 Coming to book stores tomorrow, October 29th, is the final installment of the Barefoot Bay series, Barefoot by the Sea, by the very talented Roxanne St. Claire. *sniff* But don't worry, be happy because Ms. Claire has a spin-off series in the works. 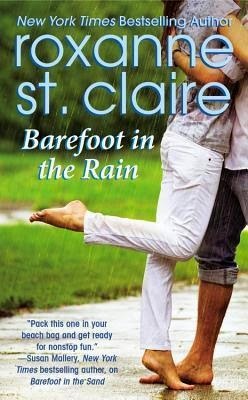 So, if you haven't read this fabulous lighthearted and enchanting series, now is the time to act because Grand Central is allowing me to give away a full print set of the BAREFOOT BAY series by Roxanne St. Claire (4 books in all!) to one lucky winner. Yay! Have question about the series you've been dying to have answered? Join Ms. St. Claire as she hosts a chat on Facebook October 30th from 8:00 PM -9:00 PM EST. 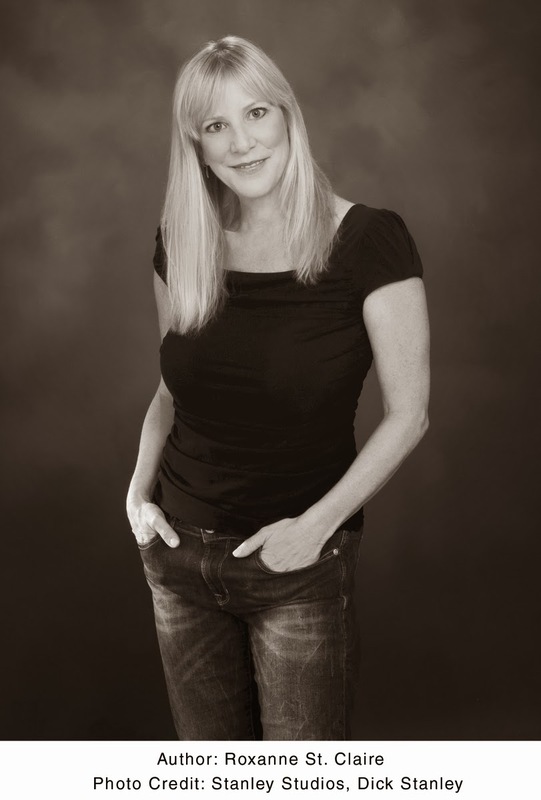 When a hurricane roars through Lacey Armstrong's home on the coast of Barefoot Bay, she decides all that remains in the rubble is opportunity. A new hotel is just what Mimosa Key needs, and Lacey and her teenage daughter are due for a fresh start. And nothing, especially not a hot,younger architect, is going to distract Lacey from finally making her dreams a reality. Caught between fight and flight, Zoe Tamarin has always picked flight. Since she was rescued from a nightmare childhood by her great-aunt Pasha, they've been on the move, never staying in one place long enough to risk exposing their precarious past. 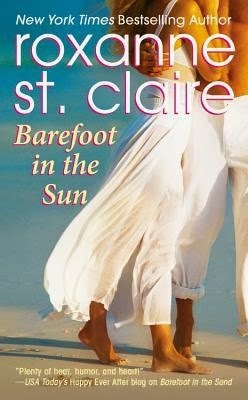 But now that they've reached the sun-baked shores of Barefoot Bay, Zoe may have to stay and fight--for her aunt's life . . . and for a love she ran from years before. Oliver Bradbury came to Florida to start over, as both a doctor and a father to his eight-year-old son. He never expected life to hand him a second chance with the woman he lost years ago--but one look at Zoe Tamarin and he knows he'll do whatever it takes to prove that this time, he can be the man she needs. But when demands of family and friendship threaten to shatter their rekindled passion, Oliver must heal Zoe's lifelong wounds with more than hot kisses . . . but will that be enough to keep her from flying off with his heart? (4 books in all) to one lucky winner (US Only). Winner will be randomly chosen. Only one prize per person and per address. Giveaway ends on November 1st, midnight Eastern time. Winner will be posted on my blog and notified by email. Winners will have 48 hours to respond before another winner will be selected. Good Luck! A beautiful island somewhere exotic. I would love a beach wedding! Gorgeous! definitely the beach :) Thanks for sharing! On the beach at sun set. Thanks for having the giveaway. What would be your perfect setting for a wedding? My favorite setting for a wedding is definitely on the beach in Barefoot Bay with the sand, the surf and a hot air balloon! I've already told my husband to be prepared to renew our vows on a beach in Florida for our 20th (not too far away). And if you haven't read this series-you should! 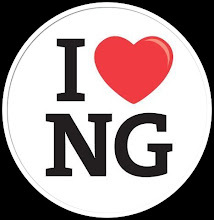 It is romantic yet complex, full of emotion and heat and love. It's a must-read! 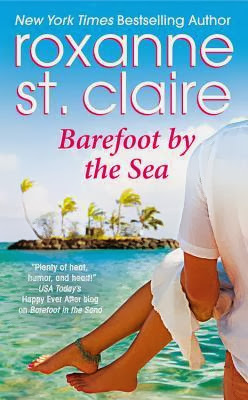 I loved Barefoot by the Sea as I did the three previous books in Rocki's Barefoot Bay series. Get yourself a glass of wine and a box of Kleenex and you're good to go!